1.3 What nutrients do chickpeas have? 1.9 Are chickpeas good for people with diabetes? 1.10 Are chickpeas rich in proteins? 1.18 How to store and maintain raw and cooked chickpeas? Chickpeas (Cicer arietinum L.) are legumes with a large amount of protein. They are very important within vegetarian diets, in which they constitute a basic protein food, along with lentils and peas. What nutrients do chickpeas have? Chickpeas contain slowly absorbed carbohydrates and a large supply of fiber, making it a very satiating food. 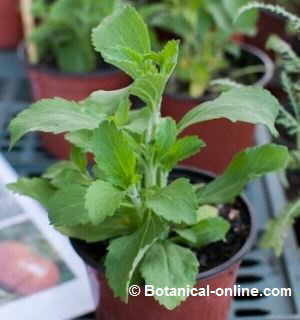 Its vitamins include folic acid, which is needed to improve circulation and heart health. 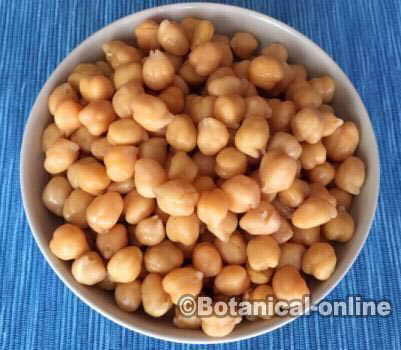 In addition chickpeas contain many other B-complex vitamins (except B12), which nourish the nervous system. One of the biggest advantages of chickpeas is their great wealth in minerals, mainly potassium, phosphorus, magnesium and calcium, iron and zinc. 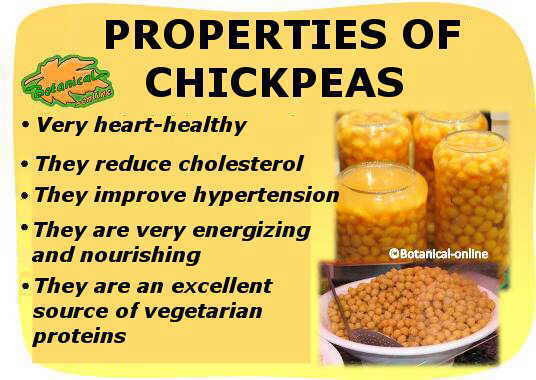 One of the main features of chickpeas is their high richness of lecithin, a fat which has a great importance in the control of cholesterol and triglycerides, allowing to emulsify (mix) body fat with water, which favors fat expulsion. Similarly, choline is formed from lecithin. Choline is considered a member of the B vitamins. It helps the liver to prevent or treat a variety of diseases that can affect it, such as cirrhosis, hepatitis, liver cancer or degradation of the liver caused by toxins. Besides lecithin, chickpeas are rich in other essential fatty acids, among which linoleic acid, commonly called as Omega 6, stands out. Comparative studies carried out in recent years have highlighted the importance of chickpea in the heart-healthy diet. Besides lecithin and essential fatty acids, we must refer to fiber. Although the total content of fiber (17, 4 g /100 g) is significantly lower than the majority of legumes containing more than 25%, chickpeas have a high proportion of fibers, particularly of soluble fibers. 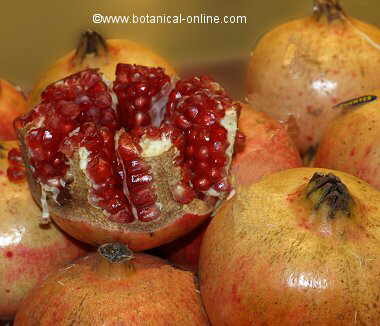 It is widely known importance of this type of fiber in the control of cardiovascular diseases. The Mediterranean diet, which proposes a large intake of these foods along with fruits and vegetables, has been associated with the lowest incidence of circulatory diseases, compared with other diets that do not include high-fiber foods in a so important ratio. Soluble fiber, besides being very important in the prevention of constipation, helps improve circulation because it absorbs cholesterol before being absorbed through the capillaries of the intestine. Soluble fiber forms a gel mass which is eliminated from the body through of feces, dragging cholesterol out. Another components that also play an important role in prevention of bad cholesterol increment are folic acid, in the form of folate, and magnesium. Everyone talks about the importance of folic acid (Vitamin B12) in pregnancy, as it prevents fetal bad formations. This justifies by itself the importance of introducing this food in the diet for pregnant women. Magnesium helps to attain a better the elasticity of the veins, arteries or capillaries, which promotes circulation. There is evidence that a deficiency of this mineral may increase the risk of stroke. Potassium is a mineral necessary for muscle contraction and therefore for the heartbeat. Increasing benefits of potassium for heart and hypertension are being discovered. Chickpeas, like all other legumes, are characterized by their ability to gradually release glucose into the bloodstream. 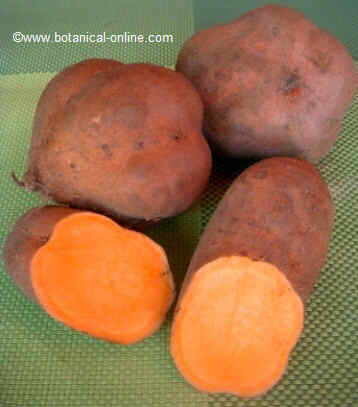 When we eat this vegetable, the glucose is gradually entering the blood. This control of blood sugar is very interesting for the control of diabetes and for the control of hunger. Are chickpeas good for people with diabetes? Keeping sugar levels within normal range without needing too much insulin: This is very interesting for people with diabetes and need to control blood sugar levels. Consuming this food can make them less dependent on the insulin supply. Chickpeas have been found to possess many anti-glycemic components. 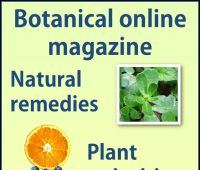 Among them we will mention the following: ascorbic, salicylic and nicotinic acids, minerals such as chromium or manganese, and other components such as pectin, niacin or tryptophan. Are chickpeas rich in proteins? The protein content of chickpeas is somewhat lower than other legumes although they are relatively abundant. Chickpea shows deficits in methionine and cysteine and to a lesser extent tryptophan. 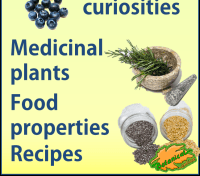 It is important to combine these with other foods containing these principles, so they can complement them. The combination of chickpeas and cereals is interesting for this purpose. 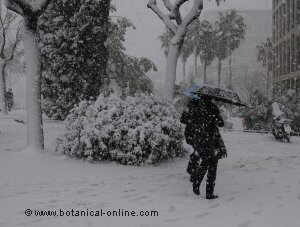 To get the most complete vegetable protein can be combined with rice, couscous or with seeds (sesame, nuts, etc. ), which provide a lot of methionine and cystine. It is not necessary that this combination occurs in the same food, but you can consume these foods throughout the day. Therefore, a bowl of chickpeas can replace the animal protein of a meal of the day. In addition the advantage of obtaining proteins from chickpeas instead of meats is that their protein richness is accompanied by a wealth of minerals such as magnesium, potassium, calcium and vitamins already mentioned. Chickpeas contain more than 60% of carbohydrates, which coupled with its high fat content (compared with other legumes) are the two components that provide great energy. (Over 360 kcal/100g). The calorie level of chickpea is somewhat higher than the average of legumes (355 kcal), although somewhat lower than other plant foods (soy with 416 kcal). Leaving aside the mere statistics, we can say that legumes generally have a high calorific value which can be very interesting as a food source for people who perform heavy physical exertion, as workers, athletes or in the diet of young people, who require much energy. Moreover, these same characteristics determine to be consumed with caution when you want to dieting or in case of obesity. To maintain an ideal weight is very important to maintain the feeling of fullness for a long time, which will not force us to snack between meals. Unlike other foods that cause a sudden rise in sugar level, that is to say they force the body to burn a lot of sugar in a short time, chickpeas maintain very stable these levels which determines that the organism can be satiated for a long time. Therefore, they are ideal in the feeding of children so they can have enough energy in their games, in the diet of people who perform some physical exercise or simply in all people who want to stay satisfied, without feeling hungry soon after eating. In this sense the consumption of peas can be useful for the slimming regimes given that, by keeping hunger under control, it does not force us to eat other foods with much more calories .. Does the high caloric content of chickpeas imply we should abstain from eating them? Absolutely not, although we must eat them rationally, in the adequate amount, especially when combined with other foods high in calories as starches, sugars, fatty meats, etc..
Chickpeas have slow absorption carbohydrates (complex carbohydrates), so that, for weight loss diets, we can perfectly eat this food. Chickpeas can help keep hunger away for a few hours without being forced to eat other foods that do not keep us satisfied. This is due to the ability of complex carbohydrates to maintain glucose levels at the appropriate level to avoid feeling hungry between meals, which is very suitable for people who want to make weight loss diets. Similarly, in case of diabetes, a judicious use of this legume, like other legumes, can help keep glucose levels stable because sugars in these are slowly absorbed. 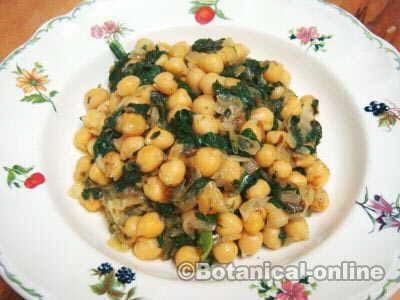 Chickpeas go well with other foods such as vegetables and eggs. 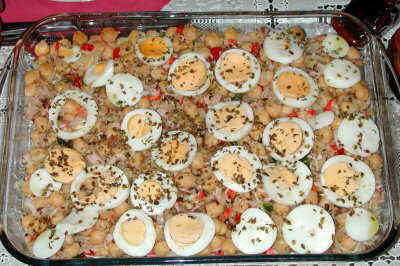 In the picture a salad of chickpeas. Chickpeas are a very satiating food that has been recommended to people with food anxiety problems, craving for food . They can replace other products that would be unhealthy or recommendable. Among legumes, chickpeas are the best digested. The reason for this property is that they contain fewer oligosaccharides, so they do not require as much insalivation as other vegetables to be digested. Its good digestibility is the reason why chickpeas, unlike beans, for example, produce little flatulence. 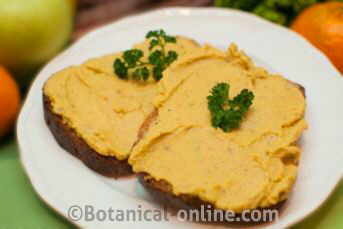 This ability to be well digested it is what allows chickpeas to be used to make pureed dishes from chickpea flour. This type of flour is very common in Asian cuisine which uses it to prepare exotic recipes in which chickpeas give the so characteristic texture and flavor. 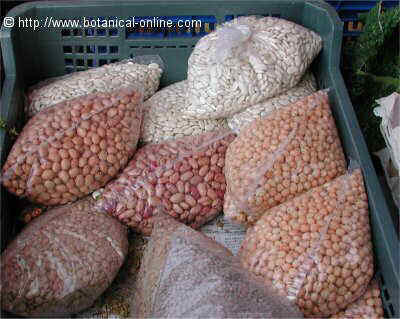 In the picture: different vegetables intended for sale: beans, chickpeas and lentils. Chickpeas are one of the most calcium-rich legumes. A bowl of chickpeas contains more than 100 mg of calcium, that is, an amount equivalent to a glass of milk. 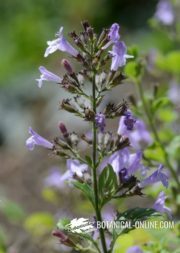 If combined with other seeds rich in calcium, such as sesame (in the famous tahini paste used for hummus), it is a very good source of this mineral. In addition chickpeas contain other nutrients for the bones, such as proteins, magnesium, potassium, boron, etc. that make it an excellent bone food. On the market a variety of chickpeas are presented in different ways. We can buy them packaged or in bulk. If we go to the street markets, they are usually distributed unpacked, while in the stores or department stores, they are generally sold packaged. It is important to buy good quality chickpeas. They must not show spots or dots of different colors that may indicate that they are in poor condition by improper storage. The best chickpeas are those with a uniform size, with smooth skin and natural color. How to store and maintain raw and cooked chickpeas? Chickpeas must be stored in a cool, dry place, raw chickpeas can endure for long. We also have the option to cook and store them in the refrigerator for about 4 or 5 days days, conveniently stored in an airtight container. We can even cook and freeze chickpeas in the fridge, so they can hold out for much longer. Prepared in this way, we can dispose of chickpeas for more than four months. Later, after being thawed, they will again be ready to be eaten. Important note: Chickpeas, like all other legumes, except sprouts, should not be eaten raw. Raw chickpeas contain toxins that are removed after being soaked and boiled in plenty of water. Chickpeas, like other legumes, are very healthy foods, both for human consumption and for the health of the planet. Despite this, unfortunately, its consumption among the population is much lower than desired. 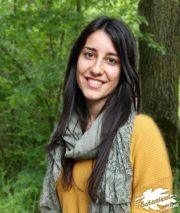 It would be advisable for health and for ecology, that people consume more vegetables and less meat. The following table shows the nutritional composition of chickpeas.